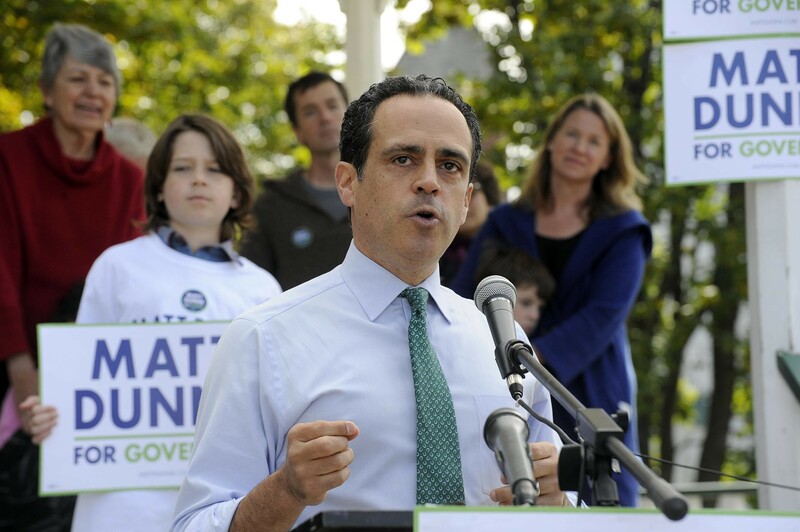 Democratic gubernatorial candidate Matt Dunne on Friday sought to tie rival Sue Minter to a pair of Northeast Kingdom developers accused of defrauding hundreds of foreign investors. Dunne's campaign sent reporters a copy of a sole-source contract Minter signed with one of the developers, Ariel Quiros, to operate Newport State Airport, which has since been renamed Northeast Kingdom International Airport. The January 2015 document was inked shortly after Minter took over as Gov. Peter Shumlin's secretary of transportation. 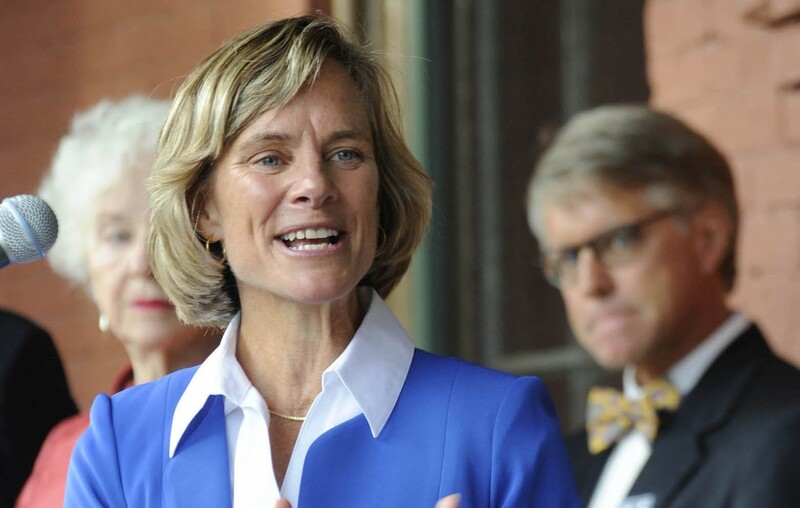 In an open letter to Minter, Dunne noted that Quiros and business partner Bill Stenger had already come under state scrutiny at the time. Fifteen months later, in April 2016, federal and state authorities filed civil charges against the pair, accusing them of misusing more than $200 million raised through the federal EB-5 investor visa program. "Why did you believe that it was appropriate to sign a state contract with Ariel Quiros after concerns had been raised about his business practices?" Dunne wrote in his letter to Minter. In a statement provided to Seven Days, Minter argued that the $54,400 contract had been negotiated by her predecessor, former transportation secretary Brian Searles, and was in keeping with best practices. She called Dunne's letter a "Washington-style" attack. "I am sorry to see my opponent resort to this kind of baseless, negative politics," Minter wrote. "This is not how we operate in Vermont." The episode marked a significant shift in a race that had previously remained positive and policy-focused. Dunne distributed the contract and his open letter to the media on Friday afternoon, just 11 days before the August 9 Democratic primary. He did so less than an hour after publicly revising his position on wind-energy siting — a reversal that drew immediate condemnation from renewable energy proponents. In his letter, Dunne did not explicitly accuse Minter of wrongdoing. But he asked pointedly whether his opponent was aware, at the time she signed the contract, of internal administration concerns about the men. He also questioned whether it was appropriate to award the contract without a competitive bidding process. "If you had concerns about the contract or the related contracting process, what did you do at the time to raise them?" Dunne wrote. According to Minter's successor, Transportation Secretary Chris Cole, such contracts are "standard practice." 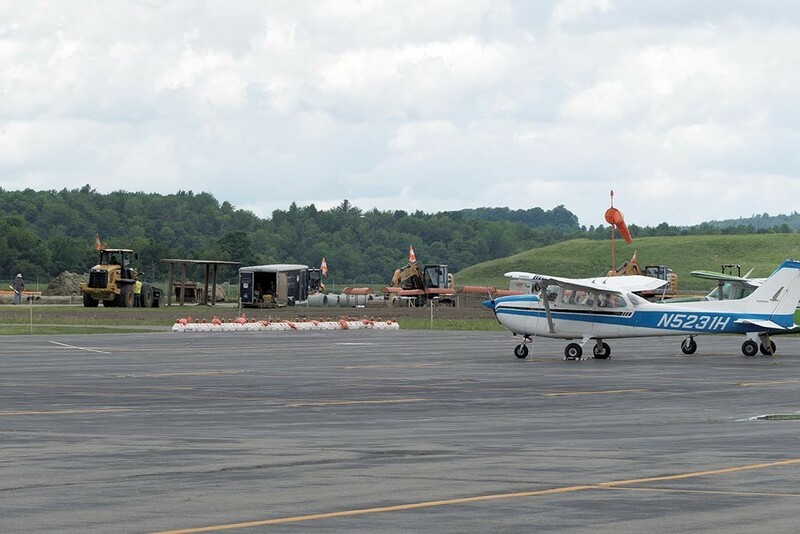 For more than a decade, Lakeview Aviation served as the fixed-base operator for the Newport facility, Cole said, providing management and maintenance services to the state-owned airport. In 2013, Quiros' Q Resorts "expressed interest" in taking over the contract so that it could build a $20 million terminal, Cole said. But, he continued, the Agency of Transportation "was uncomfortable with [Q Resorts] running the airport because the company did not have experience in that type of business." So Q subcontracted with Lakeview Aviation to continue serving as Newport's fixed-base operator. "From the state's perspective, nothing in terms of maintenance and operation would change — since the FBO on the ground would be the same one that had been in place for over a decade — but there would be opportunity for significant investments in the airport," Cole said. Therefore, he argued, it was entirely appropriate for the state to renew the agreement without a competitive bidding process. Searles, under whom Minter served as deputy secretary, signed a state contract request form in August 2014. Minter, who took over the agency the following January, signed the final version of the contract that month. The airport expansion was intended to support Quiros' and Stenger's developments at Jay Peak Resort, Burke Mountain Resort and in downtown Newport. Unlike those projects, the airport initiative was to be funded by private investment and a federal grant, not money raised through the EB-5 program. The developers completed a runway expansion, but much of the rest of the project — including a passenger terminal and airplane assembly plant — were abandoned after federal and state authorities intervened in April. In her response to Dunne, Minter said she was "proud of my record" at the agency. "I am the candidate with the plan to make Vermont work, and I look forward to debating Matt on issues like economic opportunity, college affordability, or clean water and clean energy, but not on Washington-style attacks," she said.